Prepare to be hit for six by this witty collection of the very best quotes, anecdotes, jokes and trivia, putting a humorous spin on the enduring spectacle that is cricket – a must for anyone who enjoys the gentleman’s game. "'I never play cricket. It requires one to assume such indecent postures' OSCAR WILDE"
Are you stumped by cricket and would like to know more? 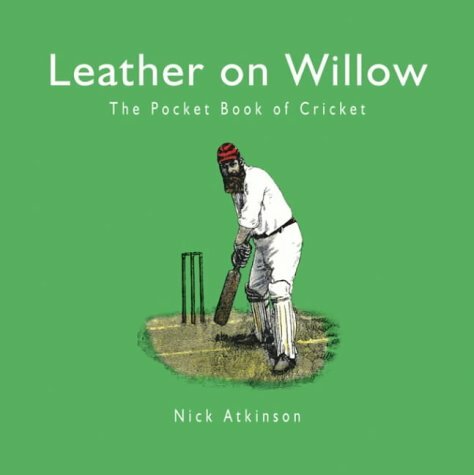 Whether youwant to test your expert knowledge of the gentleman's game or have simply run out of gift ideas, this is the book is for you. Prepare to be bowled over and caught out by this fantastic selection of quotes, anecdotes, jokes and hints on the enduring spectacle that is the game of cricket.